Many of us have old home movies in formats we can no longer view. It's important, more now than ever, to take advantage of preserving your movie treasures. Every day that goes by is a day that degrades your celluloid movie memories. At The Fotoshoppe we can transfer your 8mm or 16mm home movies to DVD. There are two primary reasons for doing so: to archive content from a decaying media and to give us convenient access to our movies with the players we use today. Want to be able to do some editing on you computer? 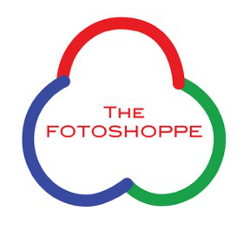 The Fotoshoppe can also get your movie reels in an editable file format. Another service we offer is to transfer full quality uncompressed .avi or Quicktime .mov files from your 8mm and Super8 reels to a 500 GB USB 2.0 External Hard Drive!